VANCOUVER and NINGBO, Zhejiang Province, China, July 11, 2018 /CNW/ - RepliCel Life Sciences Inc. (OTCQB:REPCF - News) (TSXV:RP.V - News) (FRA:P6P2.F - News) ("RepliCel" or the "Company"), a company developing next-generation technologies in aesthetics and orthopedics, is pleased to announce it has now signed definitive agreements with YOFOTO (China) Health Industry Co. Ltd. ("YOFOTO") sealing its partnership to commercialize three of RepliCel's programs in Greater China. The deal between the parties represents an investment in RepliCel by YOFOTO along with milestone payments, minimum program funding commitments, and sales royalties in exchange for an exclusive 15-year license to three of RepliCel products for Greater China (Mainland China, Hong Kong, Macau, and Taiwan) (the "Territory"). The RepliCel-YOFOTO collaboration is focused on the development and commercialization in Greater China of RepliCel's tendon regeneration cell therapy (RCT-01), skin rejuvenation cell therapy (RCS-01), and its injection technology in development for dermal applications (RCI-02) (excluding hair-related treatments). YOFOTO's up-front investment will be a CDN $5,090,000 purchase of shares at CDN $0.95 per Share and will include 20% warrant coverage exercisable at CDN $0.95 per Share for a period of two years. The deal structure also includes milestone payments (of up to CDN $4,750,000), sales royalties, and a commitment by YOFOTO to spend a minimum of CDN $7,000,000 on the RepliCel programs and associated cell processing manufacturing facility over the next five years in Greater China. "In 2017 RepliCel delivered successful phase I data in all three of its cell therapy programs and functioning prototypes of its next-generation dermal injector," stated RepliCel President & CEO, R. Lee Buckler. "We were committed to delivering a landmark partnership to RepliCel shareholders in 2018. The partnership with YOFOTO represents such a deal and provides RepliCel with not only an outstanding partner in Greater China but capital to move our programs forward in Europe and North America." "YOFOTO is a fast-growing company built on values related to beauty and healthy, active lifestyles," stated YOFOTO Chairman Mr. Huang Jin Bao. "As a key part of developing and commercializing products related to these core values for our consumers, we are committed to being a leader in China in the commercialization of regenerative medicines. The RepliCel cell therapy and injection technologies focused on skin rejuvenation and tendon repair, are important building blocks in YOFOTO's strategic healthcare vision. We are pleased to have structured a deal with RepliCel which results in YOFOTO not only being a development partner and commercial licensee but also an investor committed to contributing to RepliCel's global success." The Deposit already paid by YOFOTO pursuant to the earlier signing of the binding term sheet remains in escrow pending closing. As part of the Transaction, the Company has agreed to grant YOFOTO certain financing participation rights along with a board seat nomination. Upon YOFOTO meeting certain defined conditions, relevant Chinese patents, once issued in China, will be assigned to a YOFOTO-owned Canadian subsidiary, with detailed assignment reversion rights upon failure to meet defined targets. Closing of the Transaction represented in the signed agreements between the parties is subject to approval of the TSX Venture Exchange, and other applicable regulatory authorities including but not limited to the reviews and approvals by the State Administration of Foreign Exchange of China and other Chinese foreign investment regulatory authorities. YOFOTO (China) Health Industry Co., Ltd was established in 2004 as a company engaged in the health and consumer products industry. For example, YOFOTO has registered 31 different nutraceuticals with the State Food and Drug Administration (China). With a wide range of successful commercial products in the food, personal health care, and household categories, YOFOTO is now diversifying into higher-value health-related products and services such as genetic and blood testing, regenerative medicine, and destination health-treatment clinics. As part of its strategy, YOFOTO has made several investments outside of China. Its current expansion includes a global R&D production base, organic food base, natural cosmetic R&D center, a conference center, yacht club and health spa resort. YOFOTO employs a winner of Nobel Prize in physiology and medicine, Professor Richard Roberts, who heads the YOFOTO Global Products Advisory Committee, and also leads collaborations with several leading scientific research institutions. At present, YOFOTO has registered over 700 trademarks and attained over 60 patents. YOFOTO has 32 provincial branches in China and, in 2009, began international expansion into Russia, Vietnam, Thailand and Cameroon. At the same time, YOFOTO began active participation in the Asia-Pacific Economic Cooperation (APEC) forum. YOFOTO Chairman of YOFOTO, Mr. Huang Jin Bao, was elected to be the member of the first APEC Chinese Industry and Commerce Council. 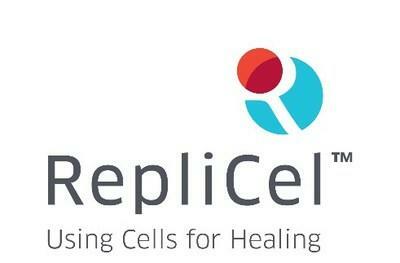 RepliCel is a regenerative medicine company focused on developing cell therapies for aesthetic and orthopedic conditions affecting what the Company believes is approximately one in three people in industrialized nations, including aging/sun-damaged skin, pattern baldness, and chronic tendon degeneration. These conditions, often associated with aging, are caused by a deficit of healthy cells required for normal tissue healing and function. The Company's product pipeline is comprised of RCT-01 for tendon repair, RCS-01 for skin rejuvenation, and RCH-01 for hair restoration. RCH-01 is currently being co-developed with, and under exclusive license by, Shiseido for certain Asian countries. All product candidates are based on RepliCel's innovative technology, utilizing cell populations isolated from a patient's healthy hair follicles. RepliCel has also developed a proprietary injection device, RCI-02, optimized for the administration of its products and licensable for use with other dermatology applications. Please visit www.replicel.com for additional information. This press release contains forward-looking statements and information that involve various risks and uncertainties regarding future events, including, but not limited to, statements regarding: (i) the completion of the Transaction with YOFOTO; (ii) the terms of the Transaction and the milestone, program funding and royalty payments to be made in connection with the Transaction; and (iii) the closing of the Transaction. These statements are only predictions and involve known and unknown risks which may cause actual results and the Company's plans and objectives to differ materially from those expressed in the forward-looking statements, including: risks related to the Company and YOFOTO being able to negotiate and enter into the definitive agreements required for the Transaction, risks related to the Company obtaining the approval of the TSX-V and its shareholders, risks related to YOFOTO obtaining consent for the Transaction from the required parties and applicable regulatory authorities; risks that the Company's products may not perform as, or have the benefits, expected; risks that the Company's products may not be accepted and adopted by the public; the risk that the Company will not obtain CE mark clearance for its injector device; the risk that there will be delays enrolling clinical trial participants; the risk that the Company will receive negative results from the Company's clinical trials; the effects of government regulation on the Company's business; risks associated with the Company obtaining all necessary regulatory approvals for its various programs; risks associated with the Company's ability to obtain and protect rights to its intellectual property; risks and uncertainties associated with the Company's ability to raise additional capital; and other factors beyond the Company's control. Although the Company believes that the expectations reflected in the forward-looking statements are reasonable, it cannot guarantee future results, levels of activity or performance. Further, any forward-looking statement speaks only as of the date on which such statement is made and, except as required by applicable law, the Company undertakes no obligation to update any forward-looking statement to reflect events or circumstances after the date on which such statement is made or to reflect the occurrence of unanticipated events. New factors emerge from time to time, and it is not possible for management to predict all of such factors and to assess in advance the impact of such factors on the Company's business or the extent to which any factor, or combination of factors, may cause actual results to differ materially from those contained in any forward-looking statement. Readers should consult all of the information set forth herein and should also refer to the risk factor disclosure outlined in the Company's annual report on Form 20-F for the fiscal year ended December 31, 2016 and other periodic reports filed from time-to-time with the Securities and Exchange Commission on Edgar at www.sec.gov and with the British Columbia Securities Commission on SEDAR at www.sedar.com.